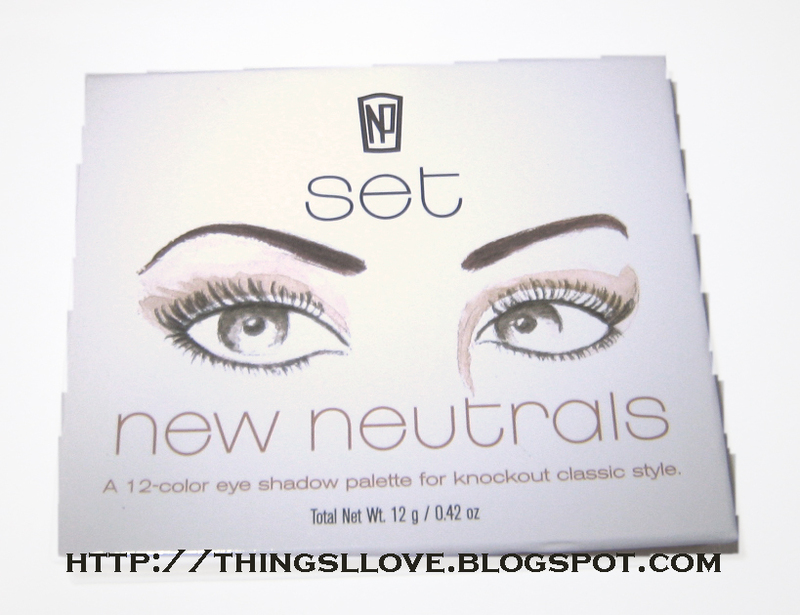 The other day, I mentioned the NP Set eye shadow palette in my holiday gifting post. Today I'll do a brief review and colour swatch of the palette. NP Set is the brainchild of Australian Makeup Artist Napoleon Perdis and showcases a complementary range of items to his higher-end Napoleon Perdis line. NP Set aims to be more assessable to women (both in location and costs) and caters for those who want quality beauty products at affordable prices. In Australia, NP Set is available exclusively in Target as well as David Jones and Napoleon Perdis concept stores. 12 warm shades covering mid to dark browns, copper, taupe, peach and a red-brown, with lighter colours beige, champagne and white for highlighting. 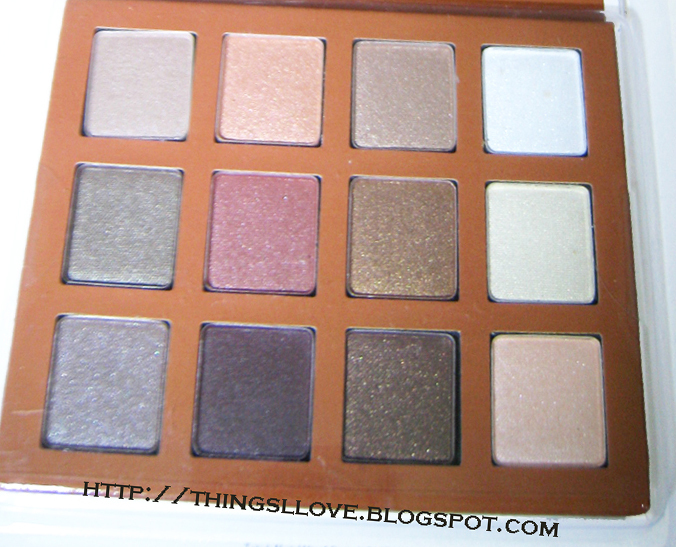 All shades are shimmery but not frosty. Pigmentation is pretty good and fallout is minimal. It doesn't feel chalky (the dark brow, bottom row 2nd from left is slightly chalky) and the shadow texture is quite soft and easy to blend and work with. The colours resisted fading for 4 hours or a bit more and did crease on me in less than an hour's time (but don't judge it because of that - I have NEVER had an eye shadow of any brand not crease on me no matter what I do, including using Urban Decay Potion Primer or other primers due to my super oily and half-hooded lids). There are enough interesting colours for you to complete many different looks and I especially like the champagne colour (middle right) to highlight above mycheekbones to give it a pretty ethereal glow. This product was received at last month's MBBE event.